Father’s day is a special day where we focus on Dads and shower them with a bit more attention and affection for the role they play in the family. What better way to make this day extra special and unique for you and the kids than to offer homemade gifts that both Dad and the kids can enjoy together? Here are some fun ideas for father's day gifts kids can make for a memorable gift giving experience. Most Dads have favourite snacks or treats like a favourite candy or barbecue sauce. Buy some of Dad’s favourite treats in fun, mini sized packages or containers. Cut strips of paper about two-inches wide, such as strips from a scrapbook or sticker paper from a craft store. Allow kids to write fun messages on each one of the strips of paper for use as labels and tags for Dad’s favourite treat container. This is an exciting and fun idea for father's day gifts kids can make at home, especially for kids of ages three and above. Dad will also appreciate the sweet sentiments from the kids. You can write sweet messages like “No. 1 Dad” or “World’s Best Dad.” Dad will use the labels and tags to let everyone know which snacks are his! Another exciting and fan Father’s day gift idea kids can make at home is personalised coffee mugs for Dad. Head over to a nearby store that lets kids make personalised coffee mugs. Kids can add their fingerprints alongside Dad’s finger print on his coffee mug as personalised decorations. You can also make thumbprint designs of father and child figures on his mag. 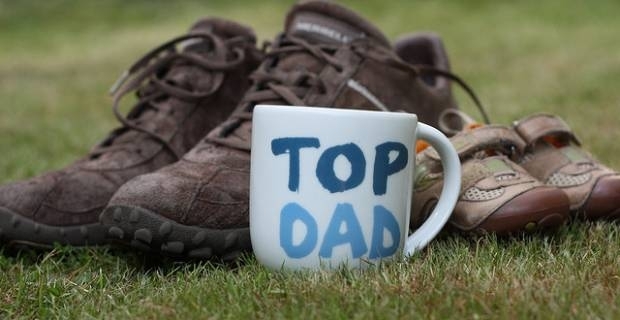 Add lovely messages for Dad on his coffee mug to go along with the finger or thumb prints if kids are a little older. Help kids think of something to write with open-ended sentence starters like ‘I love you because…’ or ‘You are good at….’ Dad is bound to love and treasure these mugs every time he’s having his morning cup. 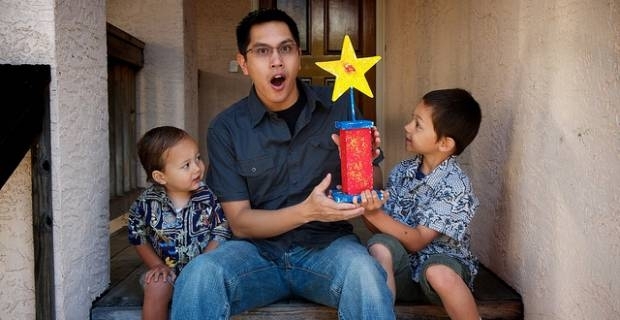 A home-made gold trophy is not likely to hold up to heavy use, but it will let Dad know exactly how the kids feel about him. He will probably keep the trophy safe in a place of honour for years to come.